Those born between 1925-45 is called "the silent generation". This generation is traditional in beliefs, values, and believes truth is absolute. 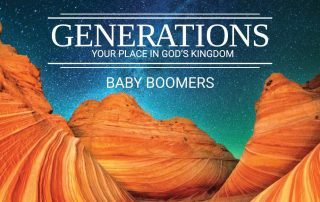 What do Baby Boomers bring to and need from the church as we gray and age? We need reasons not slogans, a role to play, and need to finish our race. Even though Generation X is the smallest generation and often overlooked, you really need to know who we are and what we have to offer the church. Millennials can be a breath of fresh air and energy, or our worst critic often frustrating older members. Yet the church needs them as much as they need the church.